ISLAMABAD: Speakers at a seminar here Wednesday highlighted the role of social female activists for empowerment of women in Balochistan and bringing change in the rigid and insular approach of society, especially in rural areas of the province. 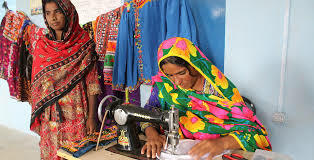 The programme financed by the Italian government through the Agency for Development Cooperation is being executed in 14 districts of Balochistan and Khyber Pakhtunkhwa, focusing on establishing basic health and education services, social mobilization, livelihood enhancement and protection, construction and improvement of small-scale community infrastructures. Saleha said she made untiring efforts to create awareness among the women of her area about their social rights. She got training under the social mobilization component of PPR, which helped her convincing the village women to make efforts for their own uplift and that of the people in their surroundings.